New guns come out all the time, but what are some of the outstanding value guns for 2018? As it turns out, there are a few. Some are entirely new, others are an update on an existing pistol that still warrants looking at. Every one of them would be a great addition to a safe, and every one makes an excellent carry gun as well. Here are the best guns for $400 or less for 2018. The Ruger EC9s is an economy model of an already economical carry gun, the Ruger LC9s. The LC9s, of course, is the LCP scaled up for 9mm and fitted with a striker-fire trigger system and firing mechanism instead of the original LCP's DAO system. The EC9s is basically the same, just a little more streamlined and even MORE budget-friendly, with a $299 MSRP. Dimensionally, it's near as makes no difference the same size, as it is near as makes no difference the same gun. Capacity is the same (7+1) and dimensions are the same, as are the controls. The principle difference is the sights are fixed, having been machined into the slide instead of dovetailed, much like the LCP vs the LCP380. Everything you need, nothing you don't, a price that's nice and from one of the most trusted names in guns. What more could you ask for? 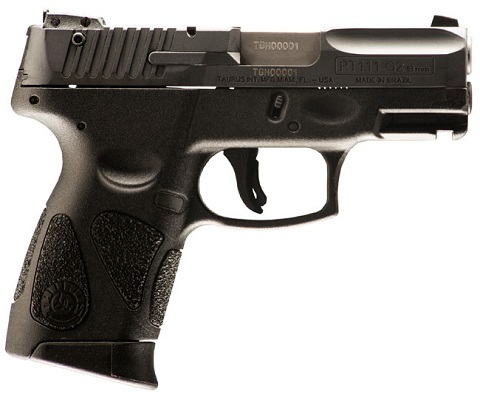 The Taurus G2C is the Taurus PT111 G2 with a new name. Literally nothing is different. The only difference of substance is Taurus doesn't offer it in .40 S&W or at least doesn't yet. In other words, you get better value for money than you get with almost any other pistol. While the gun cognoscenti of YouTube and elsewhere might not rave about it, a lot of people trust their lives to a PT111 G2 every day. If you want bang for your buck, this is it. MSRP is $317, but expect to pay $250 or less. The Ruger Security 9 pays homage in name to the Security 6, a service revolver made by Ruger back in the 70s and 80s that was later replaced by the GP100. The Security 6 offered incredible performance for the asking price, as it was far more durable than comparable guns by S&W (and certainly more so than Colt; another Colt revolver just went out of time as this was written) but commanded far less in sticker. The Security 9 has a lot to offer for a serious bargain as well. The Security 9 is the same size and similar specs to the Glock 19 and similar guns. You get 15+1 of 9mm, a 4-inch barrel and a slim, light frame for easy daily carry. The trigger is a tabbed striker-style trigger, though it has a light DAO firing system. A manual safety is included in case you want to use it, but you don't have to. While it may not have an extensive features list, you still get a great gun for not much, as the $379 MSRP is enough for almost anyone to get themselves one. The Taurus G2S is much like the G2C, just with one difference. The G2S is single-stack, so it's a bit slimmer (by about one-tenth of an inch) and a little lighter (by a few ounces) than the G2C. Other than that, it's the same gun. The S stands for "Slim," whereas the "C" stands for "Compact." The Taurus G2S replaces the PT709 Slim in Taurus's lineup - a quite popular value carry gun in its own right - and inserts a single-stack version of the already very popular PT111 G2, which - as mentioned - is now called the G2C. That means it's a slam-dunk. If you want a carry gun that's easy to shoot and won't break the bank, the M&P 380 Shield EZ is as good as it gets. Smith and Wesson scaled the Shield up and gave it a longer barrel - 3.675 inches compared to 3.1 inches in the standard model - but changed the chambering to .380 Auto. Along with reducing recoil, that also means the recoil spring isn't as stiff, making it a breeze for anyone to operate. MSRP is $399, so you should be able to find it in stores around $350 in many cases. While it's budget-friendly, you do get a good list of features. Accessory rail for a laser or light, optional manual safety, a textured slide for easy operation, 8+1 capacity and the easy shooting dynamics of the .380 round in a non-pocket pistol. That's a lot for not too much. The TriStar C100 is a clone of the CZ 75 Compact, made by Canik (who also make the excellent TP9 series of pistols) and imported by TriStar Arms. Every year or two, they have a new finish available; previous iterations have been nickel and even two-tone. Currently, they have a Tungsten Cerakote edition. There is also a basic black model as well. MSRP is $479, but you shouldn't have too many issues finding one for less than $400. For that, you get quite a gun. The operating system is DA/SA, with manual safety in case you want to carry cocked and locked. The gun carries 15+1 of 9mm. However, the metal frame doesn't mean it's a tank. 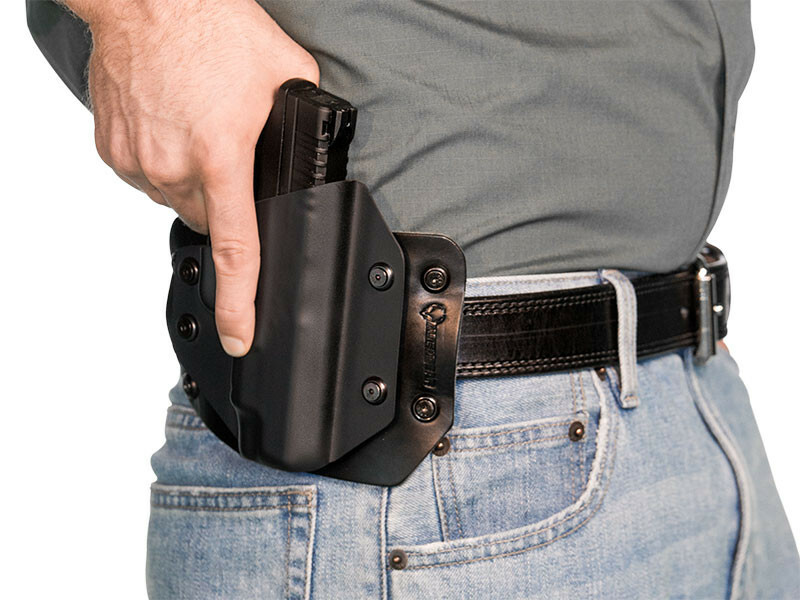 Carry weight is only 25 ounces, about as much as most compact poly striker pistols. Old school operating system, new school materials...and as accurate and reliable as any big name brands you can name, with ergonomics that are second to none. The 9mm caliber is ubiquitous for pistols, which is why everyone and their brother makes 9mm handguns. However, not everyone is able (or willing) to drop the kind of cash that's often required for the big names. Does that mean, however, that one can't get a perfectly functional nine for a bargain? Not at all. There really is such a thing as cheap and cheerful and it isn't always true that you "get what you pay for." Here are twelve 9mm handguns under 400.00 - none of which are Hi-Points. Not that there's anything wrong with them. 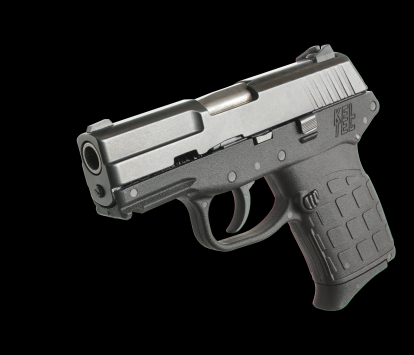 The Smith and Wesson SD9ve is definitely a sleeper in the S&W catalog. The SD9 is definitely not the sales giant that the M&P and Shield pistols are, but it's a quality pistol from an established brand at a very reasonable price. Not only that, but it's also available in .40 S&W for the same price making it a great choice for a reliable pistol under 400 dollars. The SD9 and SD40 are bare-bones, full-size...ish (4-inch barrel, so kind of between full-size and compact) striker-fired (really, DAO) pistols with little adornment. Stainless slide, polymer frame with a Picatinny rail and a passive trigger safety. Standard capacity magazines hold 16 rounds of 9mm, low capacity holds 10. The trigger is a bit rough, breaking at 8.5 pounds - though aftermarket springs can reduce it to 6. Most reviews praise the SD9ve's accuracy and reliability, and it will run +P, though the manufacturer says it might require more frequent service. Many reviews advise opting for an aftermarket spring to tame the trigger, but you're not likely to find as good a bargain from a major player in firearms. Turkish guns, such as the SAR B6P and B6 and many others, have been gaining a reputation over the past decade or so as providing astonishing value for money, with these pistols among the examples. The SAR pistols are imported by European American Armory (known for the Witness line of pistols, among other firearms) from Sarsilmaz, a Turkish gunmaker that's been in business since the late 19th century. Their pistols are built on contract for the Turkish military and police, so these are service-grade arms with a 25,000 round service life. The SAR B6P and B6 are derived from the CZ75, as the slide rides inside the frame rails. 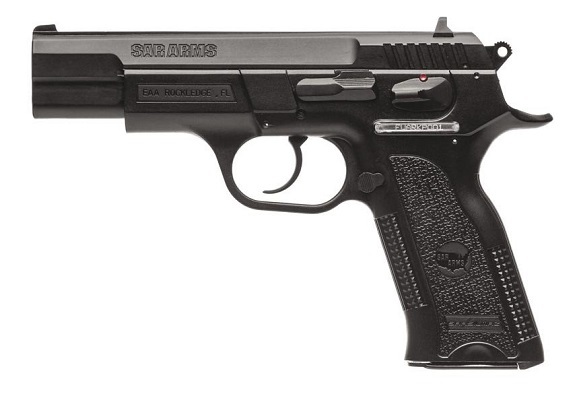 Unlike the CZ 75, SAR employs a polymer frame. Both are double action/single action, with a frame-mounted manual safety. The standard B6 has a 16-round capacity, and the B6P carries 13 rounds. The latter can be had with a 4.5-inch barrel, like the standard B6, or a 3.8-inch barrel. The B6P is also available with multiple finishes. Reviews praise the B6 as a solid shooter being one of the most accurate pistols under 400, along with it's reliability and shootability to guns that command double the sticker or more - as MSRP is a very reasonable $393. 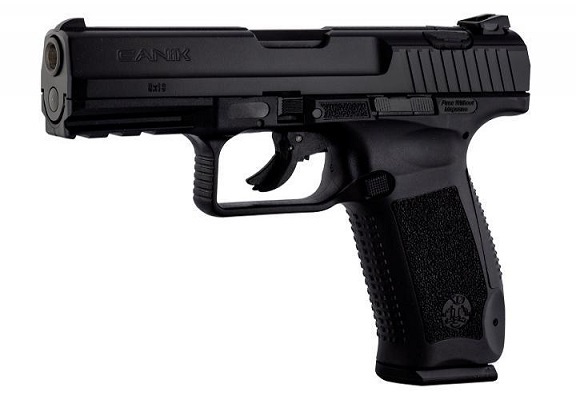 Canik, like Sarsilmaz, is a Turkish gun maker and their polymer striker guns - the Canik TP9 and TP9SA - have been garnering fans and press for years. Canik doesn't advertise prices, nor does the TP9's importer Century Arms, but expect to pay around $300. 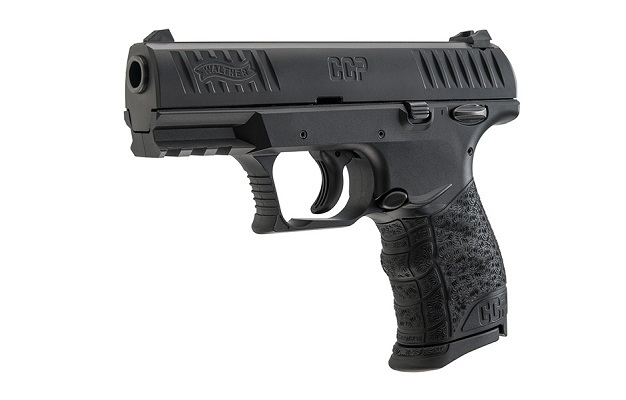 For that, you get a polymer-framed, striker-fired service pistol that's exceptionally accurate and reliable. Canik's factory is both ISO9000 and NATO certified, and their pistols are made for and issued to military and police personnel worldwide, so they are the real deal. Unlike many polymer guns that are (clearly) Glock derivatives, the TP9 series are closer to the Walther P99, as they feature a decocker on the top of the slide, which some bemoan. 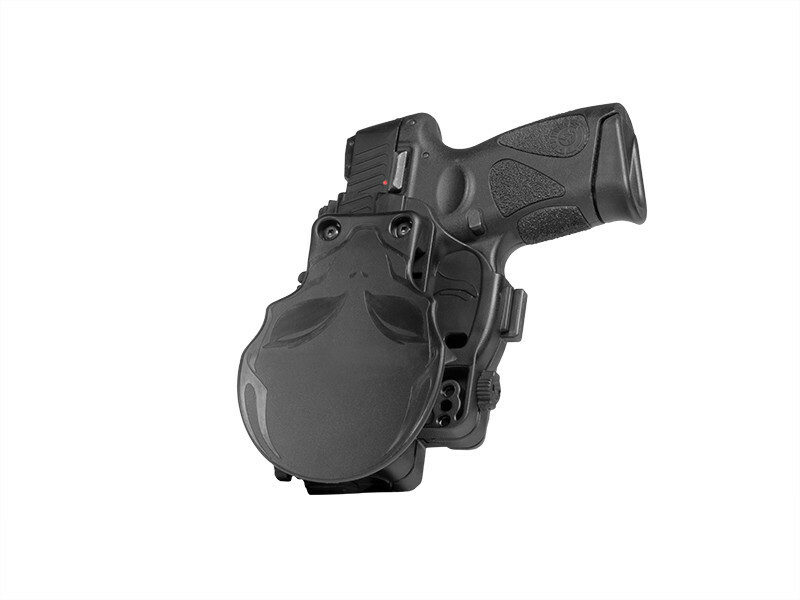 The TP9 functions as a striker-fired double/single action, though the TP9SA is a single-action; thus, the decocker, if used, will give the TP9 a longer first trigger pull but the TP9SA will need the slide racked to fire. Both come with 17-round magazines, a 4.47-inch barrel, and have the integrated trigger safety so common these days. The TP9 is routinely hailed as an amazing pistol at this price point. The Kel-Tec PF9 and P-11 are dedicated concealed carry guns, as they are much smaller than the aforementioned service pistols. Both are polymer-framed double-action only, though the PF9 has a very light trigger pull - the manufacturer asserts 5 pounds compared to the P-11's 9. Both retail for around $350. The PF9 uses a striker and the P-11 relies on an internal hammer. The former uses a single-stack magazine (which holds 7 rounds) and the P-11 houses a double-stack of 9mm rounds, holding 10. Both will run +P, though not continuously. Neither are pretty, neither comes with much in the way of features (there are no safety features) but they will work. Outside of The Judge, Taurus also makes some fine semi-autos that are offered at very affordable prices; the Taurus Millennium G2 and 709 FS are both ow cost compact handguns that retail for just over $300. Both are polyer-framed and striker-fired and both feature a manual safety and Taurus's safety lock system, which totally locks the firearm via a key. However, the 709 FS is slimmer with a single-stack magazine that holds 7. The G2 holds 12. Both are available in blue steel or stainless and both can also be had in .40 S&W. The SCCY CPX-1 and CPX-2 are compact double-action (with an internal hammer) 9mm pistols, slightly resembling a PPK, and are offered at just around $300 MSRP - expect to pay much less in stores. Both hold 10 rounds in a double-stack magazine, and are available in black stainless or black stainless with nitride finish along with a polymer frame, available in many colors. If you are looking for a solid gun under 400, this could be a great option. The difference between the two is the CPX-1 comes with a manual safety mounted on the frame, the CPX-2 has none. 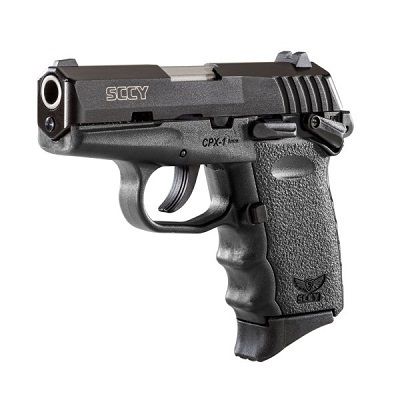 SCCY (pronounced "sky") won't win any shooting competitions, but it is a solid working gun, as reviews indicate that they are reliable, accurate and shootable for a subcompact - that also happens to be made in America.. 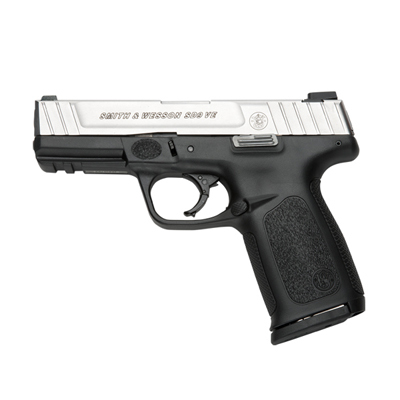 The Walther CCP is a compact, slim, single-stack, single-action striker pistol by the famous German brand. It's considerably less expensive than the PPK and chambers 9mm rather than .380, often found in stores for around $400 or less. Features are a manual safety and Picatinny rail. It's not quite the Bond gun, but it's a solid performer with slim features, 8-round capacity and won't break the bank. The name may be a mouthful, but the EAA Witness Pavona Polymer Compact is a compact DA/SA pistol made by Tanfoglio in Italy and imported by EAA. MSRP is $403, but stores carry it for less. 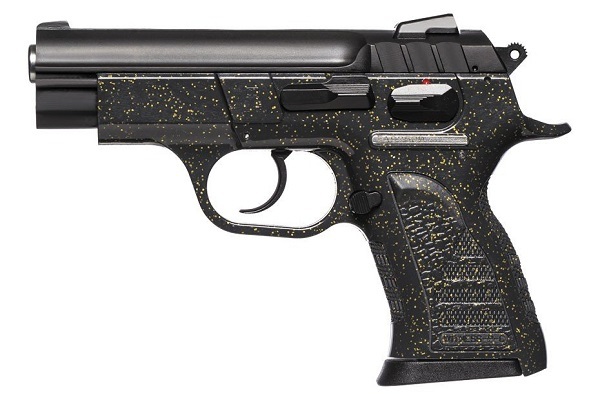 Like much of the Witness line, it's a CZ 75-derived pistol with a polymer frame that's available in a variety of finishes. The Pavona is tailored for women, though many male reviewers have praised its shootability, reliability and accuracy, even in larger hands. Capacity is 13 rounds of .380 or 9mm, or 9 rounds of .40 S&W. Century Arms imports and sells the Canik TP9 series, but TriStar imports and sells the rest - such as the Tri-Star/Canik C-100. 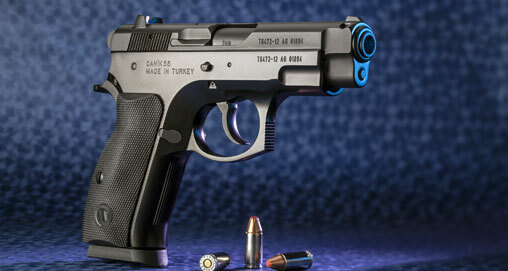 The C-100 is basically a clone of the CZ-75 compact, with a 13-round capacity in 9mm and 11-round capacity in .40 S&W. However, unlike every other gun on this list - this gun is all metal, available in stainless or blued steel. It can sometimes be found in two-tone, but is the sole all-metal construction on this list. Like other CZ-derived designs, the slide rides inside the rail and is a double action/single action design, with a manual safety that works in double action or single action mode - unlike CZ's safety, which can only be engaged when the hammer is cocked, like a 1911. MSRP is $460, but expect to pay less than $400 in-store. The C-100 has earned plaudits for value for money, as many reviewers hold that it shoots just as well as the actual CZ-75 compact. 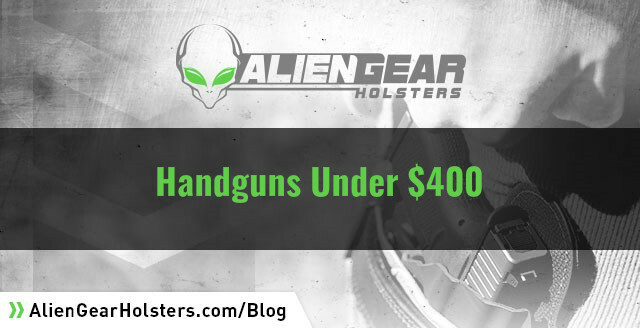 For a list of holsters available for some of these models and more visit the Holster Finder - Search by Gun page. Actually there is a big difference between the Taurus G2C and the PT 111. Its the Taurus locking idea. The PT 111 has a small hole on the ejector side just under the rear sight that you can lock the whole gun with the twist of a small tool. The G2C is missing this. It was a good idea for household safety if you have kids or a lot of stupid guests but has no use for a CCW person. If you have to stop a bad guy with a gun and say "hey hang on a sec I need to get this key out of my pocket and unlock my gun before we have a gun fight" then you lost the fight. I dont have much use for the locking idea myself but that is a major difference between the 2 guns. And I retired my Ruger SR9C to the gun case and started carrying a PT 111 about a year ago. Its a lot lighter and it shoots great. I trust my life to it same as I did my Ruger. I also have recently bought a Ruger EC9s and havent fired it yet but I really like the feel. It needs a slightly longer base plate on the magazine for my gorilla hand but I think I can handle it. You mentioned the SCCY. I have heard a lot of different opinions about those so I bought one. It seems to be a pretty relyable gun. I only ran about 6 magazines through it but no problems from those. My only problem is the size and weight. Its so light it recoils so bad that you cant get accurate shots if you rapid fire. I was not impressed with the accuracy of the gun myself but thats just my opinion. I have huge gorilla hands so this little gun dosent fit me very well. Its in a gun case now and not planning on shooting it very soon. I may sell it at a show to get something else. Another gun I recently got was a Rock Island 38 spl. revolver. I havent fired it yet either (Ohio weather is not the best to go out in the yard and shoot). I love the feel of the gun in my hand and its all black which makes it more of a night time protection gun. Check them out at your favorite gun shop. For just over $200.00 its a nice solid gun. Last one is the Rock Island 1911 GI Standard 5" barrel.I got mine for $399.00 at Rural King and I fell in love with it. The only change I made was to add a set of Stoner CNC custom grips to it. The smooth wood grips that came on it were too smooth for me and I wanted a thicker grip for a 45 ACP. This is a super nice gun and a great shooter. Its accurate as can be and recoil is minimal. Altho i love it to death I dont carry it because its big. It will pull your pants down with a belt holster. The only comfortable way to carry it I would say is a shoulder holster. These are just my opinions but I hope they help someone find a gun that they will love as much as I have with a few of mine. I have the Ruger Security 9. I know the MSRP is 379 but in many places you can pick it up for less than 275-300. I got mine on Grab a Gun for 297. But I saw Academy had it for 279. Great gun for awesome price. Taurus does offer the G2C in .40 Caliber. Not bad. Good info in there. You could have done a little research into the potential problems and customer service responses. For example, the SCCY may be good when you get it or it may have crazy feeding issues. If the latter is the case, calling their customer service is evidently painless and they will ship you new maga no questions asked (as evidently the older springs are the issue). It is nice you gave Canik so much praise here and I have owned two of their pistols so far. But the TP9SF lacks the dumb decocker. The SA has it, but it is rather well built. A guy drug it behind his truck for several miles and couldn't get his SA to decocker with it bounces ng all over the place on a rocky trail. So it isn't really an issue and can make breaking down the gun easier as it eliminates the need to pull the trigger to release the slide. "Dimensionally, it's near as makes no difference the same size, as it is near as makes no difference the same gun." What exactly were you trying to say here? Seriously, if you want to write articles, do a little research next time.